The objective of this paper is to study school choice as a deliberate joint parental decision. This decision is affected by the underlying preferences of the husband and wife. We use survey data from a sample of parents in the metropolitan area of Bilbao (Spain) to estimate a bargaining discrete choice model. The collected data set contains hypothetical school choices gathered in the form of a typical discrete choice experiment (stated preferences) and the actual school choice (revealed preferences). Stated preference data are obtained separately for husbands and wives, but the revealed preference choice is taken jointly. 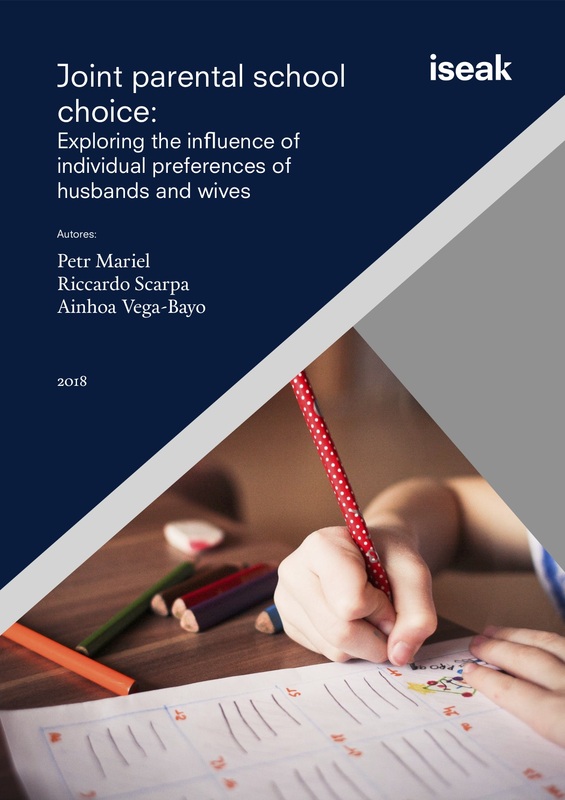 Our findings show, firstly, that the husband’s and wife’s stated preferences regarding school choice do not differ markedly. Secondly, the results obtained for the revealed preferences deviate from the stated preferences for some school characteristics. Finally, we find that neither the husband’s nor the wife’s preferences prevail in the actual joint school choice decision.